Goldstar will need to notify the Center's audience services group in advance of special access seating requests to hold seats for a given performance. The venue has wheelchair access seating (where they remove seats to accomodate the wheelchair) in the Orchestra Ring (last row of orchestra)and the rear Loge. If a patron is transferable from a wheelchair to a regular theatre seat, they can be accomodated in the Main Orchestra section in a side aisle seat. For arrangements of wheelchair seating in sections not offered through Goldstar, patrons should contact the Center's audience services group at 213-972-8001. A voice message will start, then patron will need to press "0" (zero). These are not discounted seats. 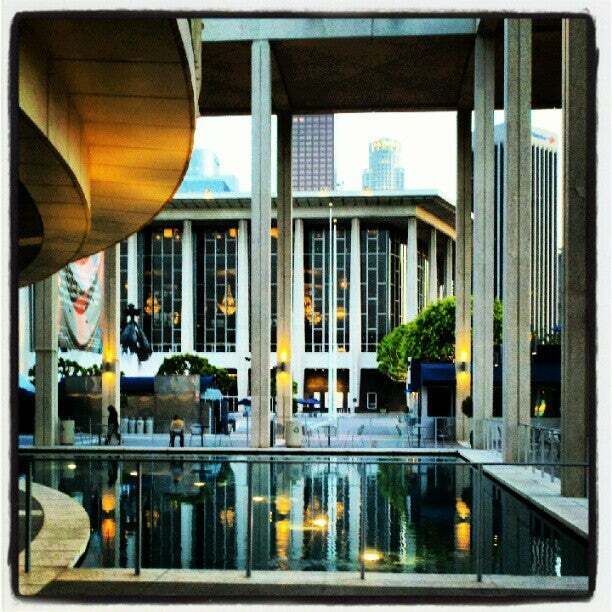 Part of the Los Angeles Music Center alongside the Ahmanson Theater, the Mark Taper Forum and Walt Disney Concert Hall, the Dorothy Chandler Pavilion’s grand five-story performance space has been the site of countless luminaries from the worlds of music, theater, opera and dance. Built in 1964, the auditorium still retains much of its “Mad Men”-era charm, its elegant chandeliers, wide curving stairways and glitzy décor harkening back to an older, grander L.A. Home to the Academy Awards ceremony for much of the ‘70s and ’80s (and as recently as 1999), the Dorothy Chandler Pavilion is now the permanent residence of the Los Angeles Opera. All attendees must have a ticket, regardless of age. There is no late seating. Seat assignments will be made by the box office in advance, and you will be assigned within the section you purchased. Seat assignments are final and you will not be allowed to upgrade seats on-site. The main supertitle screen above the proscenium is fully visible from the rear loge. It is not, however, visible from most of the seats in the orchestra ring section because of the overhang of the founders circle (1st balcony). There are two additional supertitle screens (one audience right and one audience left) underneath the overhang to accommodate orchestra ring patrons. Orchestra ring seats are not obstructed. The supertitle screens are simply in a different location. For event information please contact 213-972-8001. The weather was Beautiful. I wore A black top with a black and wine skirt with small heel shoes. I felt very comfortable. Most of the women and some men where dressed very nicely . Most of the women, dressed up , but not bling type clothes.. Au Loc (sp?) Vietnamese Vegan Fusion across the street from the venue! Delicious adventure! Going to the venue, we took a bus from Ventura Blvd and the Redline at Universal. We took Lyft coming home. Lyft pick up is best on the West side of DCP. We picked up food at "Upstage" and another snack venue, both on the East side of the theater. Next time, we'll pack sandwiches or light fare. There are tables and chairs around both venues. We took a bus from Ventura Blvd to the Redline at Universal to the venue and Lyft home. Lyft pick up on the West side of the theater seems best. The weather was Although the temps were very warm during the day, the evening was comfortably cool. . I wore We were very casually dressed and did not feel out of place. However, styles ranged from dressy/formal to very casual..